Accessories: combined transport and outer case, detachable stand, music stand, tuning key and plexiglass lid. 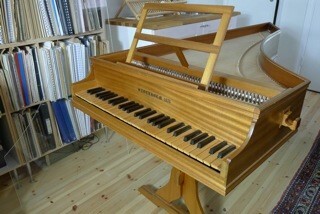 The instrument was renovated in 2009 by Dan Johansson – Tidiga klaver. All jacks, plectra and dampers were replaced and the instrument regulated. The harpsichords sound is rich and beautiful. 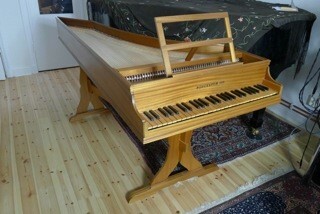 The instrument is in private ownership and is located in Stockholm.